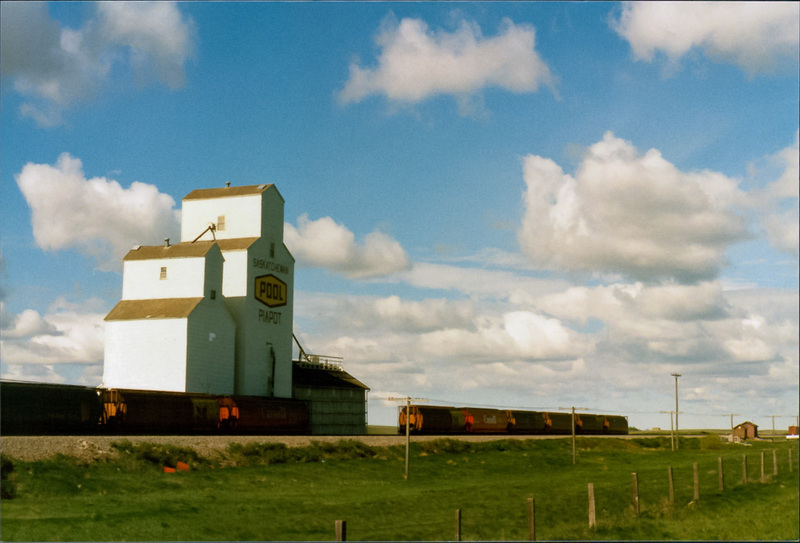 Grain elevator at Piapot, SK, May 1989. Copyright by Robert Boyd. The town of Piapot, SK had a Saskatchewan Wheat Pool grain elevator. There are no elevators in Piapot any more. The Piapot “A” elevator was moved out of town in January, 1979 (photo). 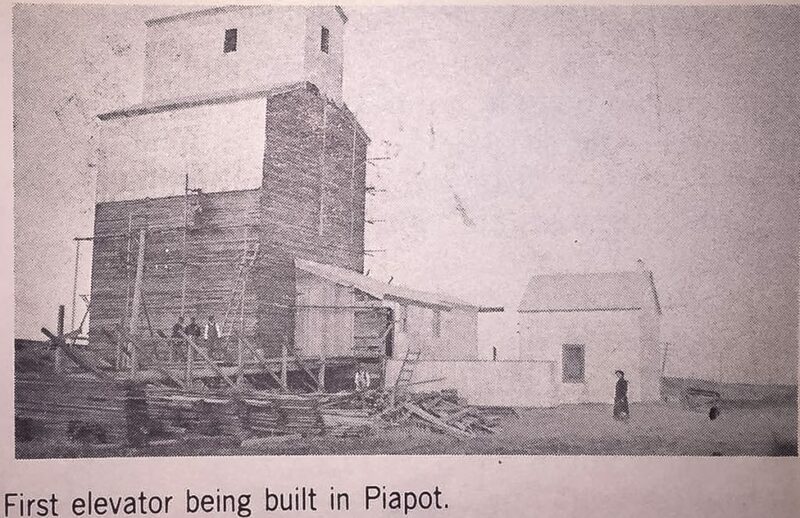 First elevator being built in Piapot, SK.